Almost there... what a year! It's been an absolute privilege to work with so many talented Designers, Makers, Crafters and small businesses in 2013. You know who you are - there's more to come in 2014! It's Christmas Market time! Never before have I seen so many craft and design markets around London - a wonderful alternative to the high street. 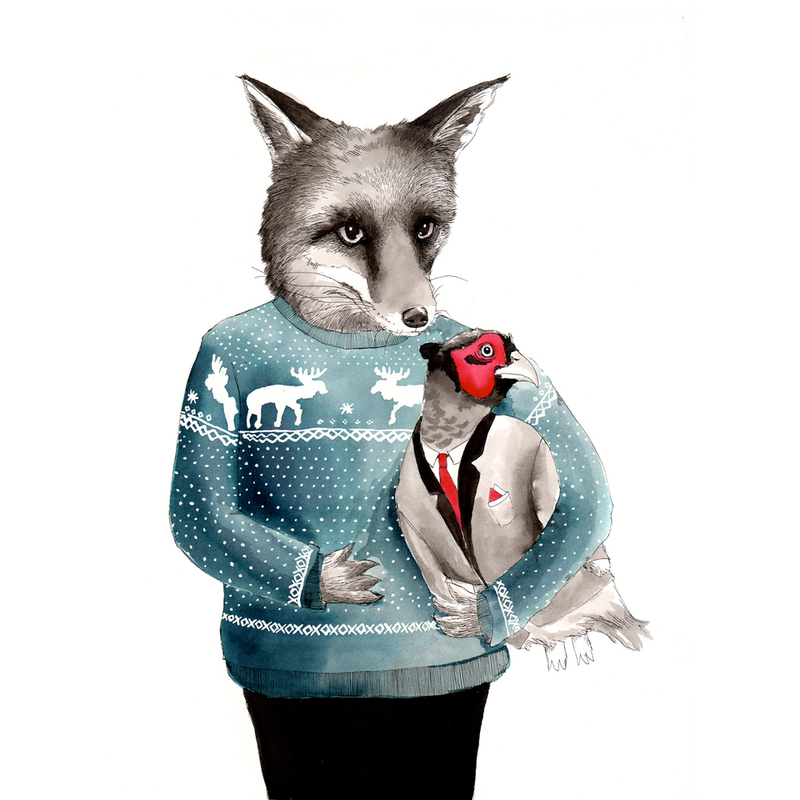 This afternoon I'm heading down to The Bussey Building in Peckham for the final Crafty Fox Market of the year. Working with Sinead and the guys has been a blast, including their summer pop up shop in Camden and the two PopUp Shoots (one in Camden the other at The Dogstar). Their new website was also a project of Yesh&Tash - featuring wonderful illustrative touches by Natasha Tonkin we had a great time putting that together. Yesh&Tash also created sites for Sue Pryke and Eloise Hall - need a website? Get in touch. We Blog-Design launched and was an immediate success (trending on Twitter), but sadly looks like it's one project too many for the team, unless someone can step up and run it? I worked with Confessions of a Design Geek, Tent London and stylist Zoe Brewer to create the promo shots for BRINK, the first ever graduate show as part of the London Design Festival. The PopUp Shoots concept also took me down to Cockpit Arts, I was blown away by the talented makers there, I hope to work with them again 2014. Sneak peak at my recent shoot with Fanny Shorter - more images coming soon. Then next Saturday I'll be documenting the Designers/Makers Market at Southbank. I was down there a while back for a portrait of Ffion Harman, the creator of the South Bank Shop Advent Window/ It's awesome, check it out. Then it's a long-awaited holiday before it all begins again in January with the HOME show, supporting bursary winner Fanny Shorter, followed by a move to a bigger and better studio. Have an excellent festive season everyone!